After insisting rather strongly that his new album, Life of Pablo, would never see the world outside of Tidal, it appears that Kanye has backed down. Just in case you haven't already torrented the hell out of it, Life of Pablo is now on Apple Music, Spotify and basically everywhere else. Kanye is a stakeholder in Tidal, a new streaming service that was meant to be fairer for artists, and offer a better listening experience to fans. Unfortunately, not even exclusives have been able to make Tidal work, and Kanye is now having to jump in with the rest of the music industry. Tidal exclusives have worked to some extent — the service is up to 3 million subscribers, which is nothing to sneer at. 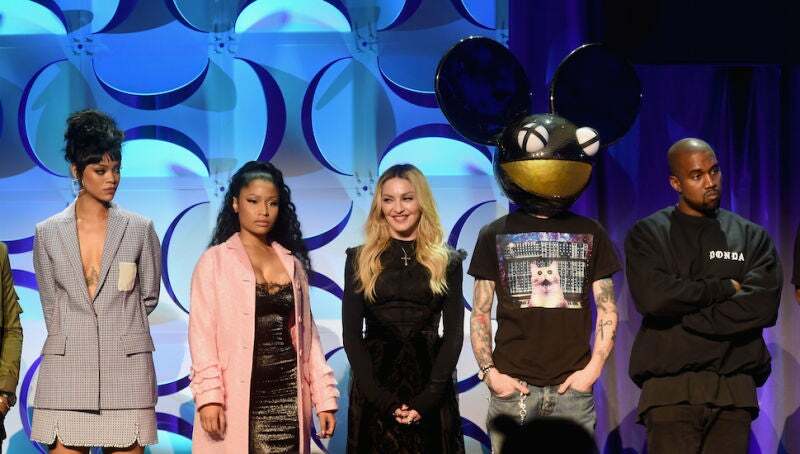 Unfortunately, it's still a drop in the bucket compared to Spotify's 30 million paying subscribers worldwide, and Tidal's management have found themselves in a world of hurt. Luckily for us, while bad business decisions are only temporary, tweets last forever.